Click here to see who we booked for 2019. Here's some 2020 information and we'll give more as soon as it's available. Bernie Culkin is a caller and dancer known for her clear style of calling. She is making her name on the evening dance scene and has called at dance weekends across the UK. Bernie is beginning to venture further afield having been invited to call across the border in Scotland and in the Netherlands. Since moving to Cheshire she has started Kindred Spirits Folk Dance Club where the focus is on dancing with style. Bernie is a graduate of the callers' course run by Robert and Hazel Moir which led to her taking part in the New Callers Showcase at the Eastbourne Festival in 2015. Brian started dancing and calling at barn dances and ceilidhs in his teens and came to folk dancing via ballroom dancing. He has called at various national venues including Halsway Manor and Eastbourne and Chippenham Festivals. He enjoys Playford, modern English and American styles of dance and, as a caller, likes to share his enthusiasm with fellow dancers and to help them to get the most from a dance by encouraging them to think of the two big Ts — Timing and Technique. Madison, Wisconsin caller Carol Ormand is beloved throughout the dance community for her smooth and unflappable style, wickedly fun dances, and penchant for keeping all the dancers on the floor smiling. Carol's delightful dance selections and concise, relaxed teaching style will keep you coming back for more. 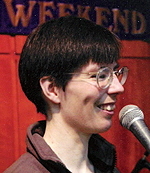 She has been calling contra and square dances since 1990, and calls regularly at dances, weekends, and festivals across the US and abroad. 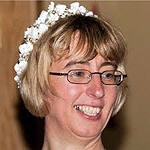 Joanna Reiner has taught English country dance for over two decades. In addition to being one of the leaders of the Philadelphia-based Germantown Country Dancers, her calling has taken her from Amherst to Ann Arbor, from NEFFA to Hey Days, from St. Croix to Vancouver, and other points abroad, including many sessions at Pinewoods Camp. Joanna loves teaching workshops for ECD callers, and workshops that explore ECD technique, new dances, and how people learn and remember dance choreography. While known for her clear calling and instruction, Joanna is also an avid dance gypsy, and in her spare time, works to support her dance habit. 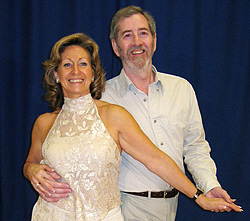 Karen and John have been dancing, demonstrating and teaching together since 2001 and love travelling and meeting dancers who, like them, are still looking for new styles and ideas. They run two dances a week in Ashford and Maidstone under the name Contrafusion. They just want to share their passion for dance and help people to have fun. Nicola first started dancing 'The Gay Gordons' at the age of six at home in the kitchen, and has been hooked ever since! She continued dancing Scottish at university and now teaches weekly Scottish Country Dancing classes in Birmingham, taking particular delight in seeing new dancers become confident and take joy in their dancing. 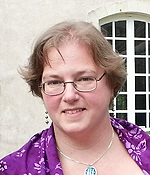 Nicola has also made forays into dance devising, with her dances 'A Trip to Applecross' and 'City Lights' being published by the RSCDS, and a ceilidh dance entitled 'The Haka' becoming a firm favourite, especially at rugby clubs! 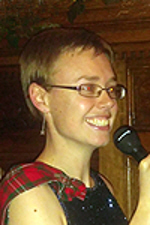 As well as Scottish, Nicola calls regularly for American contra and ceilidh dances in the West Midlands area, and enjoys introducing Scottish dances to other local folk dance clubs. 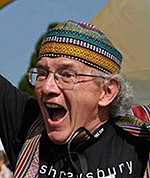 Rhodri Davies first started dancing and calling while at university in the 1980s. Since then he has called regularly at the major UK dance festivals with forays to the US and Europe. He particularly enjoys the flow of contras, the spontaneity of squares and the energy of recent interpretations of Playford. You will find elements of all of these and more in his workshops and mixed programme dances. 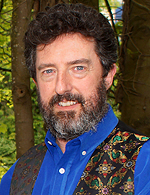 Rhodri is keen to see folk arts handed on to new generations and enjoyed by them: he has appeared at the InterVarsity Folk Dance Festival (IVFDF) 25 times and has recently taken on the role of operations director with NYFTE (the National Youth Folklore Troupe of England). Trevor started calling in the late 80's and has now called/taught at many of the major dance and folk festivals around the UK, as well as some in America and Canada, and also calls at many club nights. 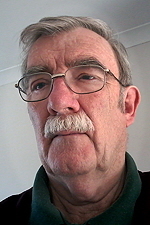 He has a broad repertoire ranging from Playford through to modern Playford-style dances (having written some himself) and can also include American squares and contra dances in his programmes. 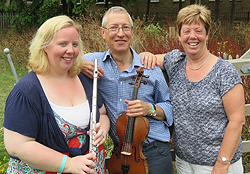 Julia Day, Shane Day and Tina Brown were part of the legendary “Wild Thyme”, and have been playing as “Keeping Thyme” since 2000. They provide good, danceable music with energy or a gentle touch as required, in many styles, and will still be smiling at the end of the festival. 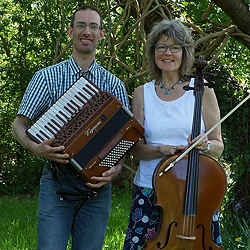 Portland Drive specialises in playing high energy and exciting dance music for contra dancing, although they also love playing the beautiful tunes from the English tradition. Their fiddler is Brian Stone (of Fiddling Around fame) whom you can also hear on jazz guitar. Kathryn Dunphy, who plays flute, jazzy sax and clarinet, and pianist Elaine Meechan who provides the driving, dynamic and rhythmic harmonic structure for the band, also played in contra band Skylark. Portland Drive is very excited to be playing at the inaugural May Heydays festival in Evesham. Purcell's Polyphonic Party are a trio of musicians come together to combine their love of Purcell, Playford, Baroque and the Nordic Noir. Take one harpsichord, one viola d'amore, one nyckelharpa. Stir occasionally with bouzouki and accordion. Once mixed add one set of bagpipes, a light sprinkling of flageolet and allow to simmer gently together on stage for around 3 hours. Then enjoy some beautifully served up dance music. With a wide range of experience from Playford and social dance to ceilidh and contra, Purcell's Polyphonic Party has a unique sound, combining the beauty and style of the baroque era with raw foot-tapping dance energy. You can be assured that a dance evening has plenty of variety. Wild Ride brings together the fiddle of Bob Tracey, the piano and fiddle of Holly Norton and the mandolin, banjo and guitar of Robbie Thomas to produce a dance band with an exciting, driving and superbly danceable sound that is built on a foundation of decades of combined experience of playing for dancers. Combining the groove and drive of American contra music with infectious tunes from the American, Scottish, Irish traditions and, when the dancing demands, the English tradition and the elegant strains of the Playford and pre-Playford canon, Wild Ride bring an exhilarating and rewarding experience to both dancers and listeners. Confluence are an instrumental meeting of cello (Gill Redmond) and accordion (Alasdair Paton) based around the New Forest. They join traditional folk music from the UK with melodies from continental Europe, and self-penned tunes. 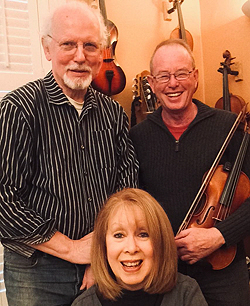 They take influences from their diverse musical experiences in classical, jazz, baroque as well as folk — providing listeners with a fresh take on familiar material. 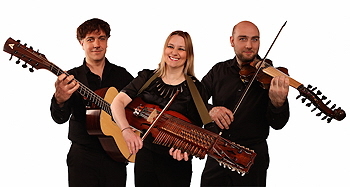 Since they played for the Euro dance at Chippenham festival in 2018, Confluence have played concert sets at folk and cabaret clubs in Hampshire, Dorset and Wiltshire. 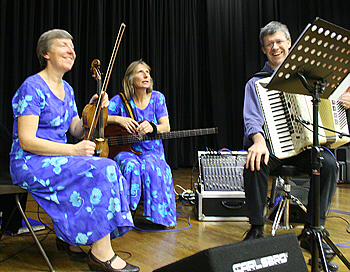 They have also been playing for bal-folk dancing around the south of England at Brighton, Bristol, Reading and for their own Euro Bal Wessex events in Hampshire and Dorset. Confluence are looking forward to sharing their experience and enjoyment of the European dance repertoire at the forthcoming workshop and bal. 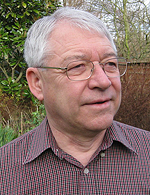 Steve Earwicker will be teaching you to Bourrée, to Schottische, to Waltz (French style!) and perhaps even to Mazurka! We may also slip in the odd Breton dance as well. The music for the workshop will be from Confluence. Together with Nikki Muckle, we ran the French Dance Workshop and Bal at Chippenham Folk Festival in 2018 and 2019, and have appeared at several local Festivals in South Hampshire. Steve and Nikki were involved in the early days of the French Music and Dance Sessions at The Nottingham Playhouse — these later became the Ockbrook French Dances, still running every month. We also run our own EuroBal Wessex French and Breton dances at Ibsley in the New Forest.